Explanation: Where are the craters on asteroid Itokawa? Missing -- unexpectedly. The Japanese robot probe Hayabusa approached the Earth-crossing asteroid in 2005 and returned pictures showing a surface unlike any other Solar System body yet photographed -- a surface possibly devoid of craters. 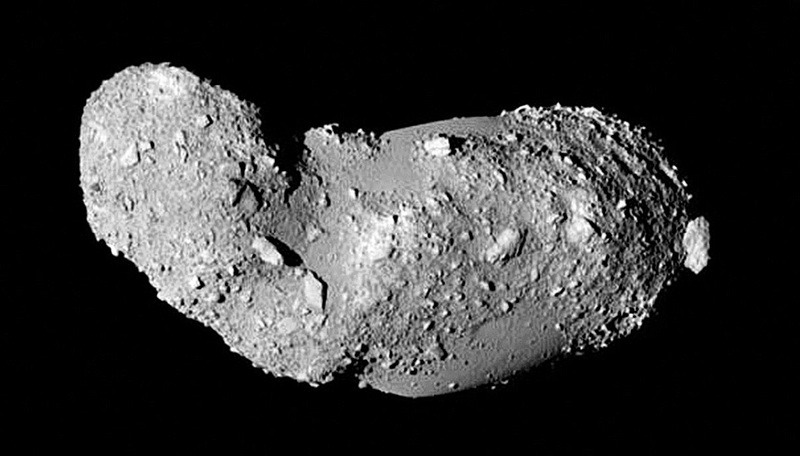 The leading hypothesis for the lack of common circular indentations is that asteroid Itokawa is a rubble pile -- a bunch of rocks and ice chunks only loosely held together by a small amount of gravity. If so, craters might not form so easily -- or be filled in whenever the asteroid gets jiggled by a passing planet or struck by a massive meteor. 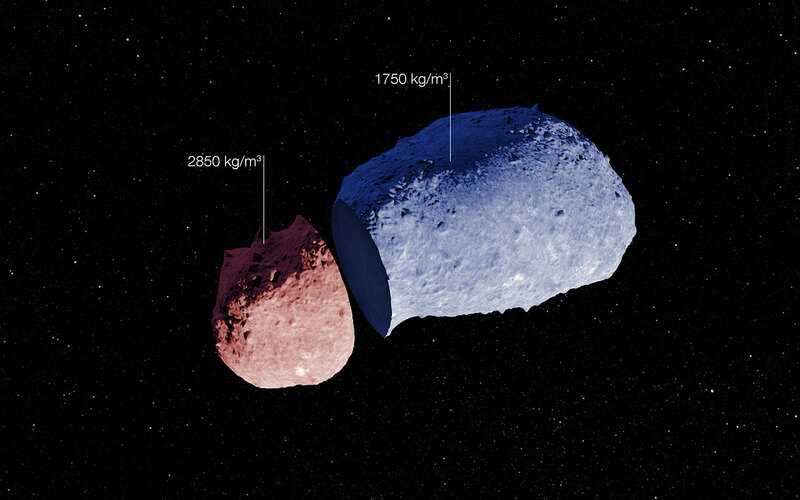 Recent Earth-based observations of asteroid Itokawa have shown that one part of the interior even has a higher average interior density than the other part, another unexpected discovery. The Hayabusa mission returned soil samples from Itokawa which are also giving clues the ancient history of the unusual asteroid and our entire Solar System.